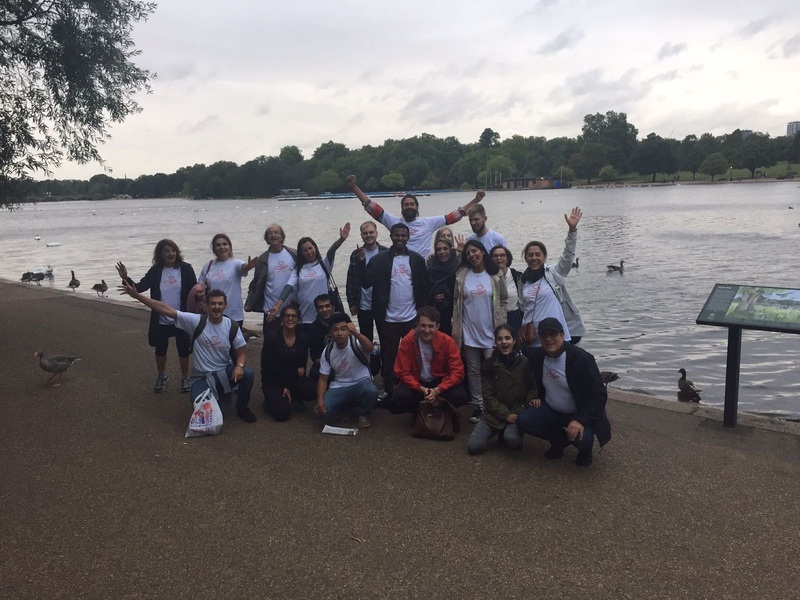 We completed our first annual fundraising walk through central London! 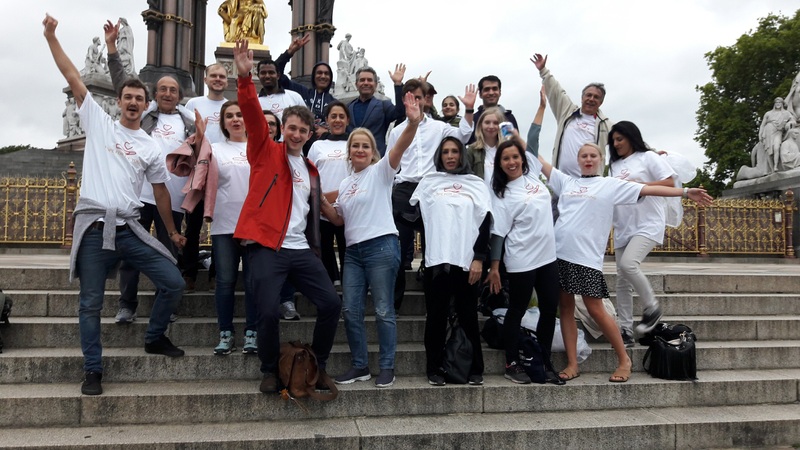 Over 25 of us set off from Holland Park tube station with our brand new Hope for the Young t-shirts and positive energy. 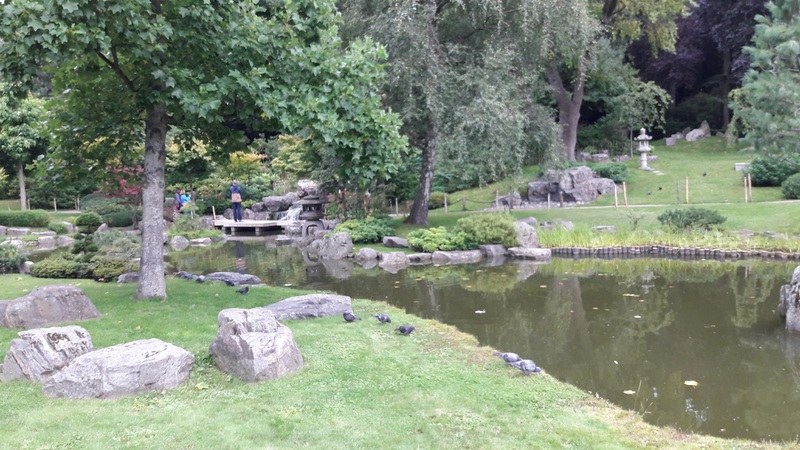 We wandered through Holland Park and took lots of photos of the gorgeous Kyoto Gardens. As we took in the sights of Kensington Palace the weather decided to turn against us. However, Kami, one of our trustees, came to the rescue equipped with ponchos for us all. There was nothing that was going to dampen our spirits! We marched on to the Serpentine, again stopping for lots of photos at iconic landmarks, including the Royal Albert Hall, before reaching Hyde Park Corner. At this point, as it got darker and our legs began to weaken, our final destination was in sight, Buckingham Palace! 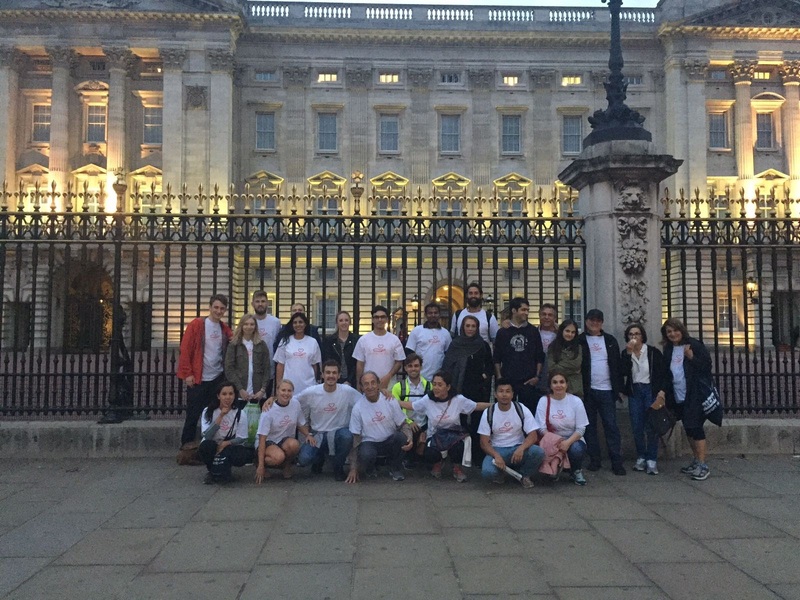 After 3 hours of walking, we had one last photo outside the Palace and Matt our Project Manager spoke to everybody about Hope for the Young’s work before everyone headed off their separate ways feeling overjoyed, if not ready for bed! The walk was not only a great success in itself, but we managed to raise over £2,000 in donations. We’d like to say a BIG thank you to everyone who came to the walk, those who helped make the walk a success and lastly to everybody who donated, you’ve made a massive difference to our two projects. All donations have gone towards our Education Fund; which helps fund asylum-seekers’ education, as well as our Mentoring Project; which pairs young refugees and asylum-seekers with supportive mentors to help them settle into life in the UK. This was the first of hopefully many annual fundraising walks to come, so please look out for next year’s event and help us to raise even more!